Radio host, author, and financial adviser Beau Henderson talks today about managing money and living a financially stable life. 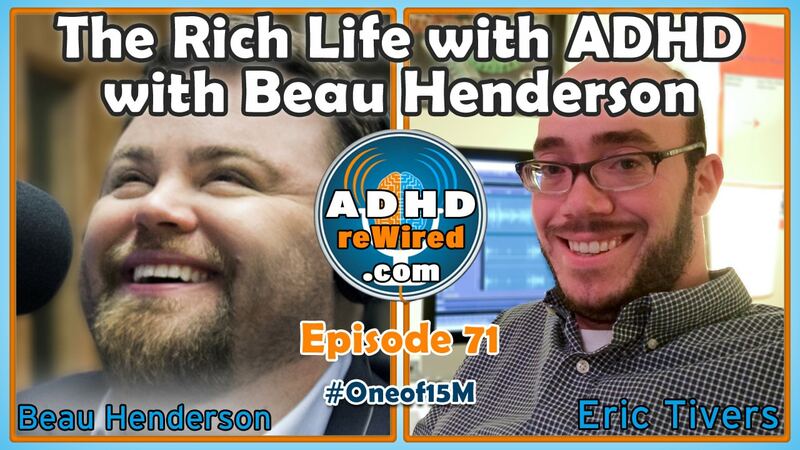 Discussing topics ranging from saving on a low income and retirement, to financial education and insurance, Beau discusses some common missteps people usually make alongside strategies useful for those with ADHD. 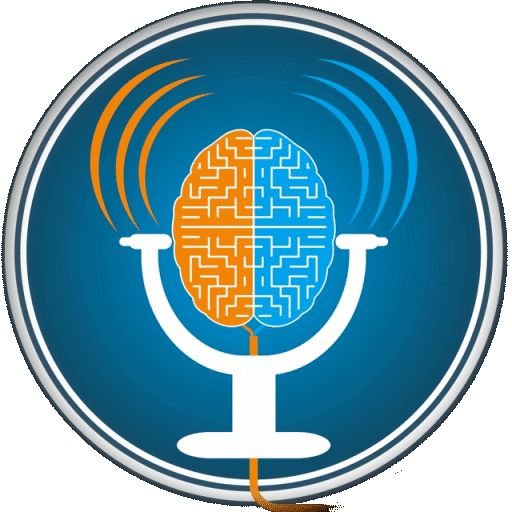 Later in the episode, Beau answers a number of questions sent in by listeners. Beau is a financial advisor and author of the book The Rich Life. 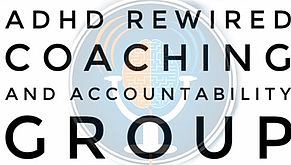 Nationally syndicated and airing weekly on radio, Beau is also the host of the RichLife Show. A master certified Success Coach, senior financial advisor, and certified master behavioral analyst, he’s helped over three thousand families lead healthy financial lives. He is CEO and founder of RichLife Group. In addition to studying finance, Beau also studied behavioral psychology. While not diagnosed with ADHD and good at grasping “big picture” ideas for the future, Beau had to learn how to build structures, develop systems, and involve other people in order to manage the small details needed to be successful with money. Beau has been helping people with their money for fifteen years now. At about the mid-way point in Beau’s career, he came to the conclusion that, while one can do a lot of good with money, having lots of it doesn’t lead to leading a meaningful life. He would see people who were very financially stable, but who were leading miserable, empty lives, rife with bad relationships and poor health. To have what Beau defines as a “rich life,” one should align their use of money as a tool to the activity that motivates them, that they’re talented in anyway. 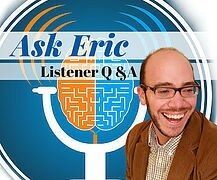 Eric: Money doesn’t necessarily bring us happiness, but the lack of money can certainly keep us back from happiness. Beau: Many people approach money with the “ostrich head in the sand” technique – burying one’s head in the sand and simply hoping everything works out. Start from the question: Why? Why do I do what I do? What is important to me? Use money as a tool to honor and work toward those things that are important to you. It’s important to know your numbers. One strategy toward the goal of simplifying management of your expenses is to use only one checking account and debit card for all core expenses. This way, at the end of the month, you have a single easy tally of what went out. You’re better off using debit card statements as a way to manage your expenses if you know attempting to track all of your receipts will most likely fail. Certain behavioral styles will have a harder time with receipts than others. Especially when you’re managing a business, it may be worth it to spend fifty to a hundred dollars to hire a bookkeeper to whom you would send debit card statements and who would return to you a summary page. If you decide you need to save or set aside a certain amount of money per month to meet a financial goal, set up your account so that money drafts automatically. Even your monthly expenses should be automated. People tend to focus on their priorities with whatever is left over. Sometimes, at the end of the month, there’s nothing left over. If money is sitting in an account and hasn’t been given a place to go ahead of time, people tend to use it inefficiently. If you’re a business owner, using a separate debit card just for expenses associated with that business can help in keeping track of those costs. While a suggested savings strategy may be to save 10% of your income, use 10% to pay off debt, and live off of 80%, some may have to adjust those amounts according to their situation. Maybe a 1%–1%–98% breakdown is what you can manage. Beau often finds that many will be able to save a few hundred dollars per month by tweaking or reassessing existing costs. He mentions home and auto insurance, people underestimating how much they spend when eating out, and setting boundaries such as a lower cap on food spending. Eric and his wife began to shop at discount supermarket chain Aldi. Though shopping there is more of an inconvenience for them than shopping elsewhere, he guesses they save about two hundred dollars per month as a result. In what he calls a “five-dollar-a-day retirement plan”, where one saves $150 per month, Beau notes that after forty years at an average interest rate, a person would have saved one million dollars. Those who are older can, if they have a comparatively high-paying job to someone in their twenties, pick a higher starting point for their monthly savings to attempt to make up for lost time. Others will gradually increase their monthly savings as they expect their business or income to grow. 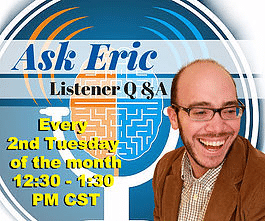 Eric wonders how one figures out how much money they need to save for retirement. Beau mentions starting from looking at a person’s Social Security credits, from which someone can figure out what their retirement benefits will be at ages sixty, sixty-six, and seventy. After finding how much you would earn from Social Security, and then taking a really honest look at your expenses, you can find out approximately how much you would need to have per month to pay expenses when you’re retired. Whatever the difference is between your calculated Social Security payments and your expected expenses, that amount can be used as a starting point for determining how much money you would need to have saved by retirement. Building a finance “team” can be important. Beau often works with his clients alongside an accountant, financial advisor, and sometimes an attorney. This team can work on the content that can be challenging to maintain interest in or focus on when managing one’s finances. They work toward the same end goal of allowing someone to live their retired life without worrying about money. When building that team, Beau notes that it’s good to have one that you can synch with and trust. If you do financial planning right, you’ll be working with this group for over thirty years. Beau agrees with Eric that there are major problems with financial literacy in this country. Part of what he is trying to do with his radio show and book is trying to alleviate some of the problems. Using some of the proceeds from their business to create educational books and to visit with schools to teach eighth and ninth graders financial basics. He plans to continue his efforts until they reach at least a million children. Eric: How do you make dealing with money fun? For some, what works is to try to turn the financials into a game. Spouses can compete with one another to see which one saved more money before financial meetings. It can sometimes be fun to see the numbers accumulate. Find a way to celebrate your victories, even the small ones, to incentivize you to continue down that path. It can be challenging to figure out the financials with so many variables in money flow from one family to the next. One parent will sometimes take multiple years of work off to raise their kids before returning to work afterward, thereby increasing the household income. Beau warns to not forget how cost-effective having a parent at home for the children can be. A lot of times the childcare, cleaning, extra food, and other costs can add up to be more expensive than what is earned from the parent returning to work. Years ago, Beau met two fifty-two-year-old men. One was a surgeon and the other was an electrician. The surgeon pulled up driving a Maserati, owned a second lake house, and had a base salary of about $500,000. The electrician, who was apparently missing some teeth, made an average of about $60,000 operating a one-man shop out of his van. He managed to live off of about $30,000 per year and had been doing so for over twenty years. The surgeon, on the other hand, was spending about $600,000 per year. While the surgeon was effectively broke, the electrician had saved over $2 million. Beau: Sometimes the reality is different than what it may look like. Mint has a tool that can pool your expenses from multiple cards and graph the results. Beau uses Goodbudget, which is a digital “envelope system” that lets users categorize money for different uses and sync their budget across different devices. Online financial calculators can help you find an idea of where you need to start and help to predict where you will be in time. How can someone avoid impulse buying? As a rule, if what you’re buying isn’t in your normal expenses or financial plan, give yourself a 24-hour cool-off period to think it over. Eric mentions the freezer trick of literally freezing your credit card within a block of ice so that you need to wait until it thaws before you can make purchases. Some will place the money they have beyond their normal expenses in an online savings account. Money saved there will not only often earn more interest, but will usually require two to three business days for that money to move from the savings account to your checking account. What are the “rule of seventy-two” and the “rule of seventy-eight”? The “rule of seventy-two” says to divide 72 by an interest rate you’re gaining on an investment. The answer should be an estimate of the number of years it will take that investment to double. So, if you have a 1% interest rate on $100, it would take seventy-two years to double it to $200. If someone, at thirty years old, saves the aforementioned $150 per month, that money, with an average market return, will end up amounting to around one million dollars by the time that person is at age seventy. Is it a smart idea to pay off debt before starting to save for retirement? Depending on the type of debt, it might make more or less sense. High-interest credit card debit might be more important than other types. If you’re spending about seventy to eighty percent of your income on living expenses, you can maybe split what’s left over in half. Spend one half to reduce your debit and the other half to contribute to your savings. Beau would look at a breakdown of all of a person’s debts and work with them to come up with a plan for which ones to pay off first. As some of them are paid off, money may be freed up that can then contribute to your savings again. Listener Teresa mentions the importance of employer 401k money matching – it’s essentially free money and should be a no-brainer. The important part, Beau mentions, is to then develop a plan for handling your debit in an order that will relieve you of it the soonest and free up cash flow the soonest. Whether you have term or whole life insurance, it’s important to check to see if your policy has “living benefits”. These are benefits that can be used in the event of major illnesses, such as cancer, heart attacks, strokes, or other long-term care scenarios, to survive them and their financial impact. Term insurance is cheaper. Beau likens it to being rented insurance for a period of time that you need it. It can be good to line up a term life insurance plan with a thirty year mortgage, so that one’s family could still pay that off in the event of one’s death. On the other hand, fewer than seven percent of term policies pay out because the insurance companies are pretty good at predicting when most people will likely die based off of statistics. Depending on your strategy and where you are in your plan, choosing a whole life could make more sense. Whole life plans have the benefit of being eligible for accumulating cash tax-free if you have a window of about 15 years or more. When someone accumulates enough assets, they will be okay to insure themselves and replace the income they need to if something should happen to them. For most people, though, there won’t be enough assets to cover income replacement, debt payment, and retirement income for a spouse. How do you find out what questions to ask about your finances in the first place? Beau is building a pre-financial planning course that he plans to launch in August. It’s intended to provide people with the knowledge needed to have a meaningful conversation with a financial advisor and become an active participant in the process of creating their financial plan. Do you have any tips to better manage your finances alongside your spouse, specifically with regard to personal expenses? Try to commit to meeting for a half-hour or so once per month to review your income, expenses, and assets. While they may not be the most fun conversations, they’ll benefit you in the long run. Working with one couple in the past, Eric found some success by having each spouse have their own small spending account. Any money within that account can be spent freely, but each person is limited to only that amount. Goodbudget, a digital “envelope budgeting method” application that can sync your budget across devices and people.